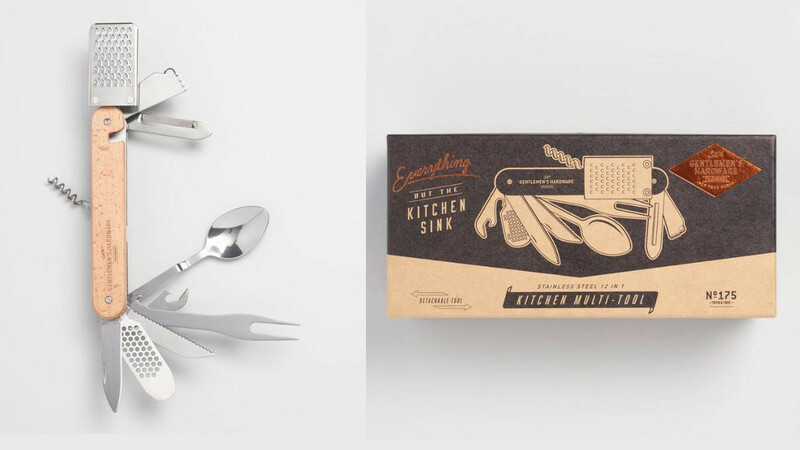 This cool kitchen multi-tool is perfect for camping or for anyone who doesn't want a kitchen full of utensils. It is very convenient and you can use it to perform a variety of kitchen tasks. 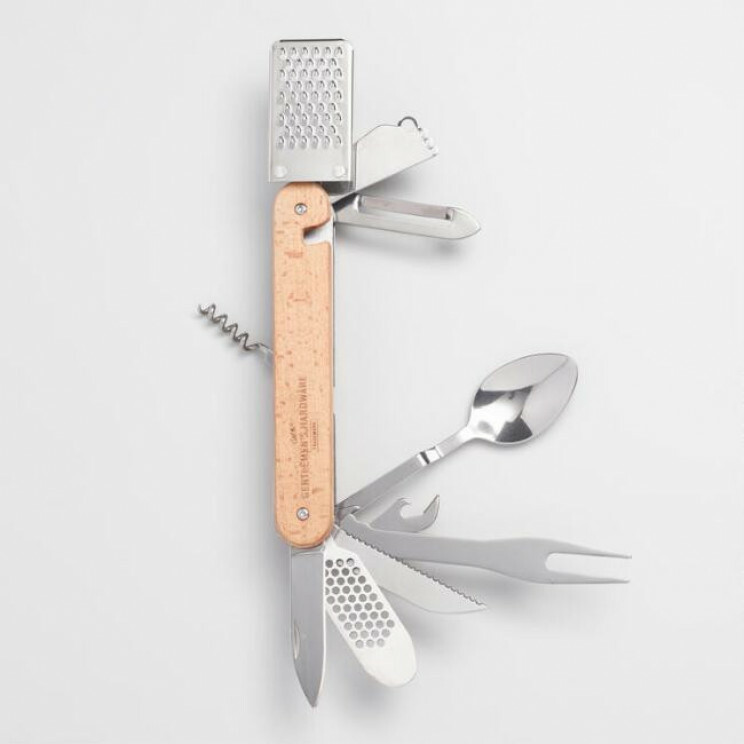 As a kitchen camping tool, it is great because it is portable and tough. 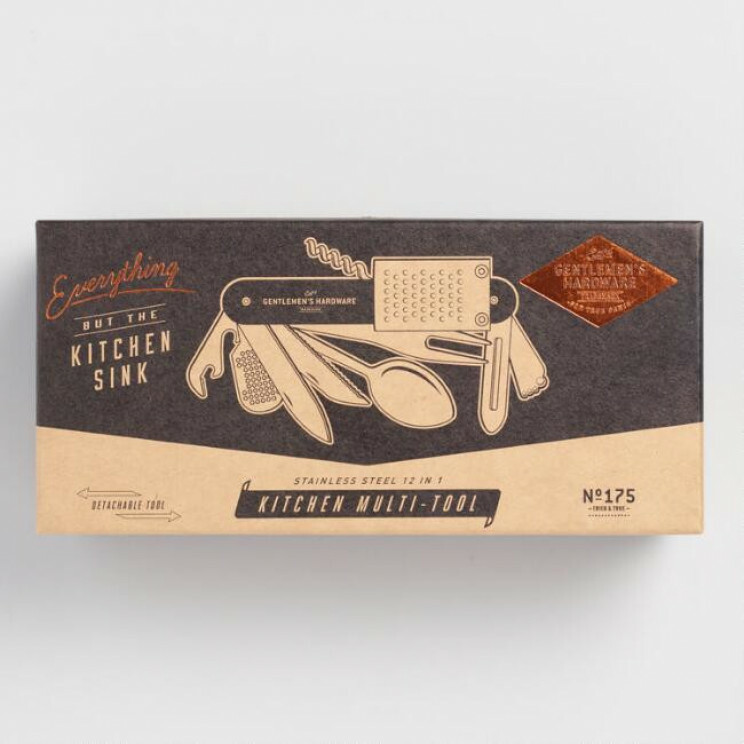 The utensils are made from stainless steel and the handle is made of acacia wood. It's The Perfect Kitchen Gadget For Camping! That's a lot of handy tools!